The kiwifruit, also known as the Chinese gooseberry, is native to China and is the national fruit of this country. Kiwis are also very popular in New Zealand, where they reportedly have been grown for about 100 years. They were first harvested in California in the 1970s. There are several species of kiwi, including a gold kiwi. The one you are most likely familiar with is the green kiwi, which has a juicy flesh with a sweet and tangy taste. The kiwifruit is small but not only does it pack a lot of flavor but also a lot of nutrients and health benefits. Kiwis may help you sleep better. A study published by the National Institutes for Health (NIH) revealed that eating kiwis before bedtime may help people who have trouble sleeping or have actual sleep disorders. The study examined males and females between the ages of 20 to 55. The subjects consumed two kiwis one hour before bedtime for four weeks. The result revealed the subjects fell asleep quicker, had longer sleep durations and had better quality sleep. “Numerous studies have revealed that kiwifruit contains many medicinally useful compounds, among which antioxidants and serotonin may be beneficial in the treatment of the sleep disorders,” reports the NIH. 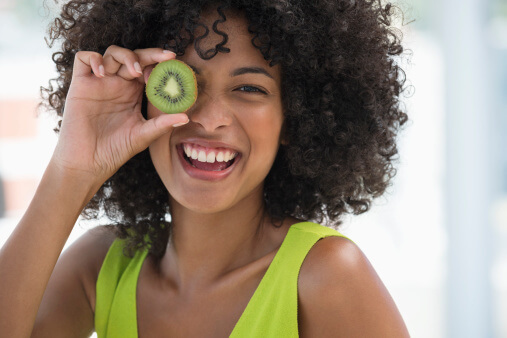 Kiwis may help protect your vision. Kiwis may help with your digestion. Kiwis contain high levels of the enzyme actinidin, which aids in digestion. This enzyme helps the body break down proteins in red meat, dairy and fish. It’s summer, and a lot of us are eating a lot of barbeque, ice cream and other treats. Slice up some raw kiwi for a refreshing snack that may soothe your stomach. Kiwi may even help relieve symptoms of irritable bowel syndrome (IBS). Kiwis may help protect your bones. Kiwis are rich in vitamin K. Just one cup of raw kiwi has 72.5 mcg of this vitamin. Vitamin K helps keep your arteries healthy, and it is also necessary for making bones. According to the NIH, several studies have shown how invaluable this vitamin is to the health of our bones. 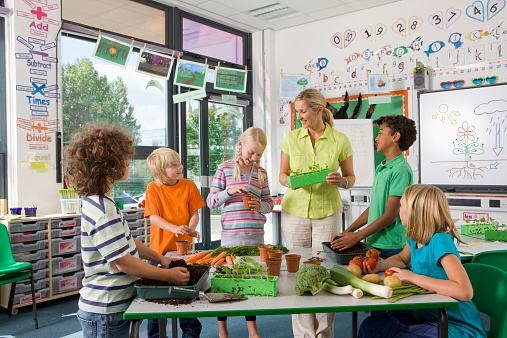 “There is a consistent line of evidence in human epidemiologic and intervention studies that clearly demonstrates that vitamin K can improve bone health. The human intervention studies have demonstrated that vitamin K can not only increase bone mineral density in osteoporotic people but also actually reduce fracture rates,” reports the NIH. Kiwis may do wonders for your skin. Facials are great for your skin and a nice way to pamper yourself, but the health of your skin really stems from what you eat. Kiwis are packed with vitamins A, C and E. All of these vitamins are antioxidants that help protect the skin from free radical damage, which may cause premature aging. These vitamins also promote collagen production and cell renewal, both of which are key in maintaining healthy, youthful looking skin. If you really want to give yourself the best “facial” ever, check out this recipe for a berry and kiwi smoothie. Berries contain a lot of the same antioxidants as kiwis, so a smoothie with both of these fruits may be a great way to treat your skin. Polyphenols are micronutrients found in certain plant-based foods. Calcium, 61 mg. You probably know calcium is critical for building and maintaining strong bones and teeth. What you may not know is this mineral may decrease your risk for colorectal cancer. Recent studies confirm that high calcium intake is associated with a lower risk of colorectal cancer among both men and women. Phosphorus, 61 mg. Phosphorus works hand-in-hand with calcium to help build strong bones and teeth. This mineral is also needed to make proteins including the one responsible for oxygen-carrying capabilities of our red blood cells. Phosphorus also helps repair cells. Magnesium, 31 mg. This mineral is needed for so many different reactions in the body and it may also help with weight management. Studies with rats have shown a low level of magnesium can slow down growth of lean body mass (muscle and bone building) and promote an increase in body fat. 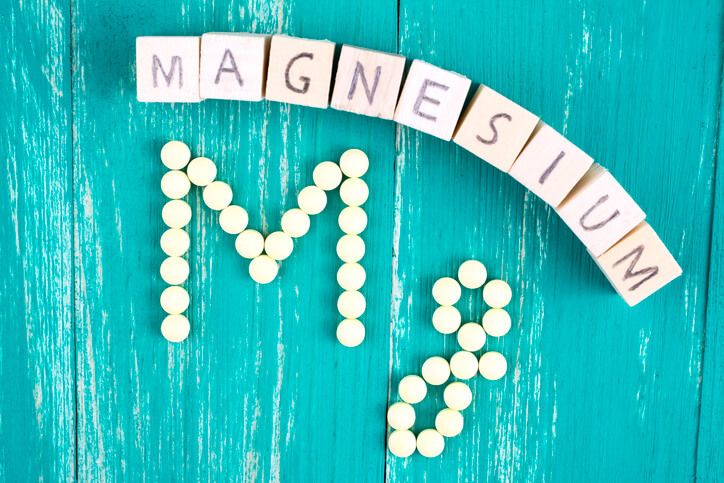 This may be due to the body’s need for magnesium in so many different functions, more than 300 according to the National Institutes of Health. Potassium, 562 mg. This mineral works with sodium to balance the fluid and electrolytes in the body. Potassium also helps keep blood pressure under control and may help reduce kidney stones and bone loss as you age. It may even reduce your risk of stroke. Most adults need about 4,700 mg of potassium per day. So, kiwis are a great place to start. Folate, 45 mcg. Folate (also called vitamin B9) is a very important nutrient, especially for pregnant women, whose RDA is 400 mg. Folate may help prevent cancer and heart disease and improve mental health. Kiwi is great eaten raw, but if you want to get creative check out the recipe for this creative kiwi salsa. This salsa is great with chips or served over fish. For more healthy recipes with kiwi, including a kiwi sorbet that is perfect for summer, click here. It’s amazing how many options we have with healthy food. They really are practically endless. If we stay proactive and continue to explore the healthy, natural foods available to us, we can satisfy our palates while doing amazing things for our health. 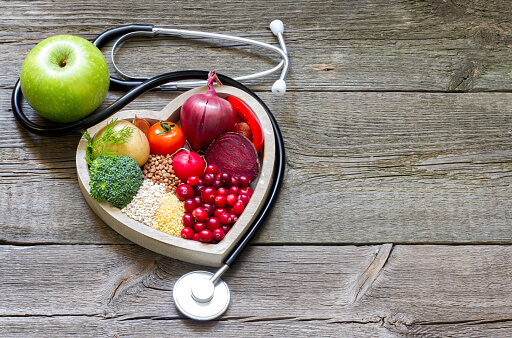 Healthy food is indeed medicine.